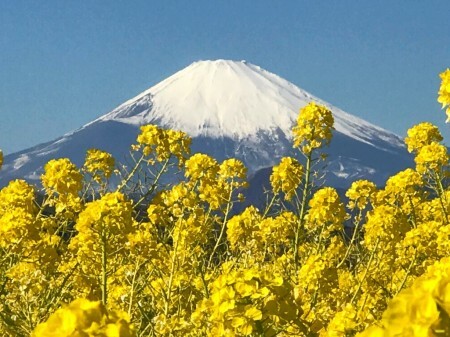 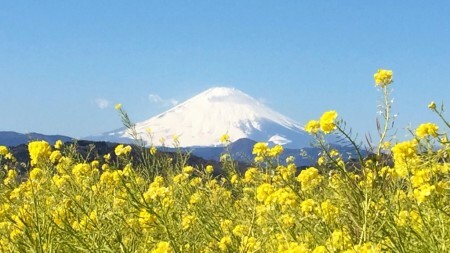 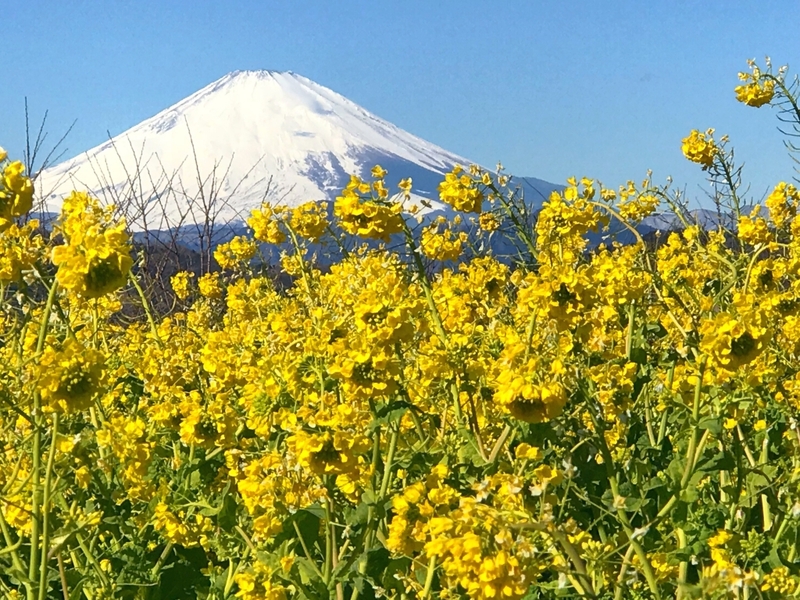 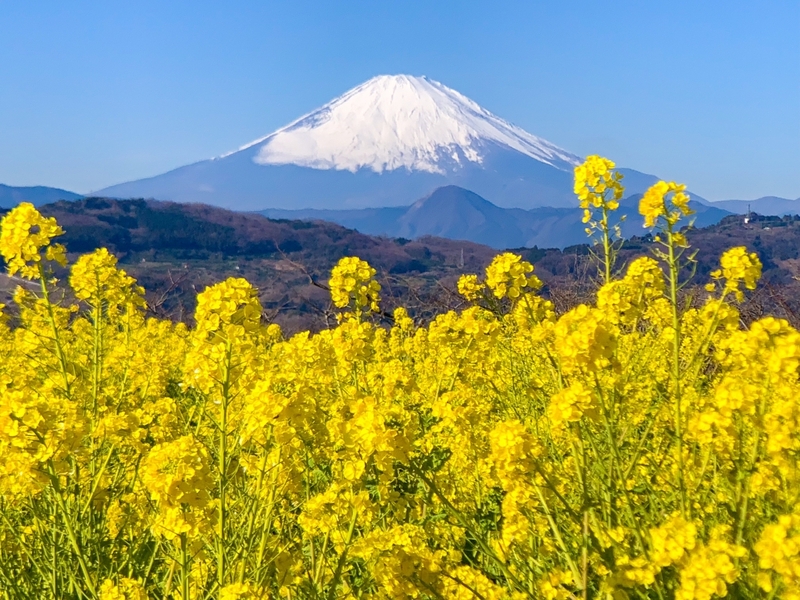 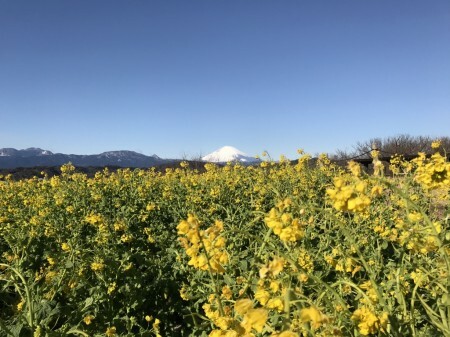 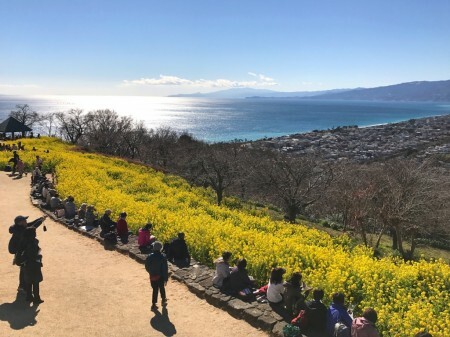 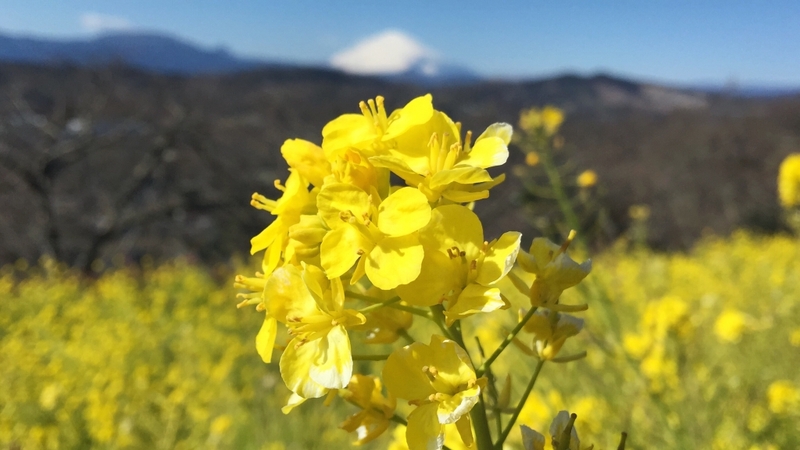 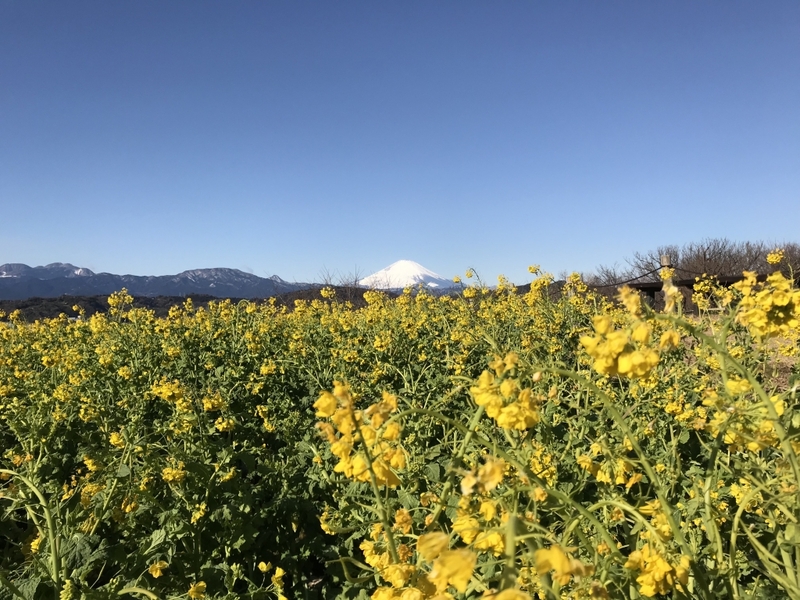 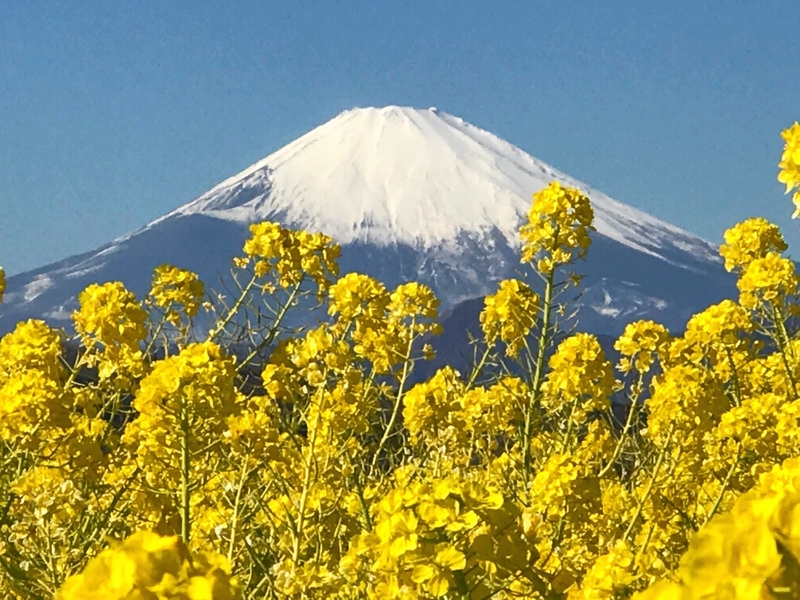 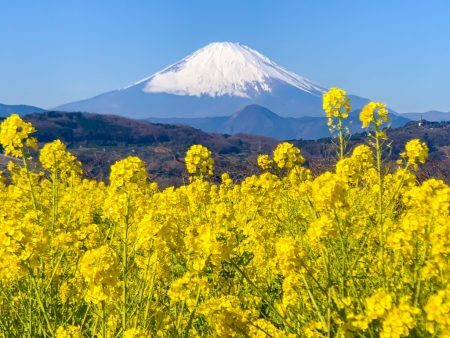 You can take beautiful picture of Mount Fuji with field mustard at Azumayama Park(136.2 meters above sea level) in Ninomiya between January and February. 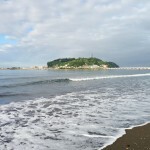 Ninomiya is a town located in Naka District, Kanagawa Prefecture near Tokyo. 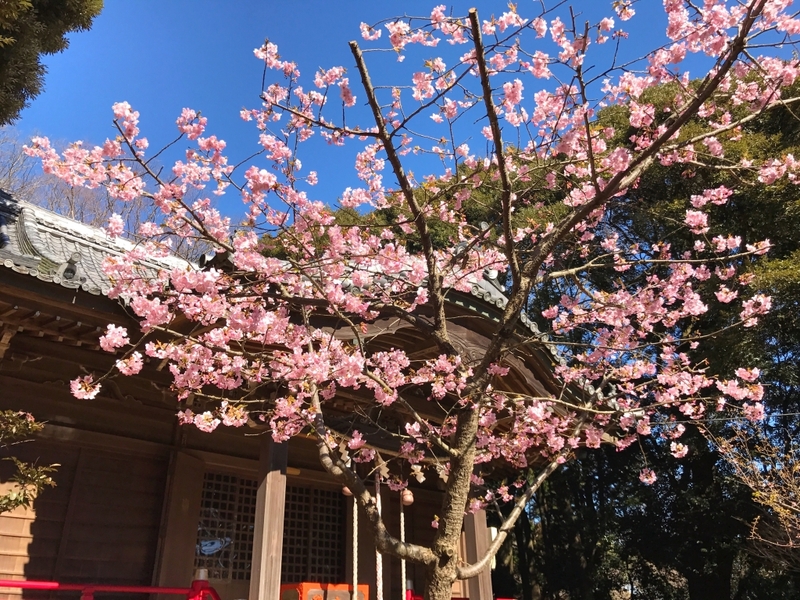 The best time to visit here is the beginning of February. 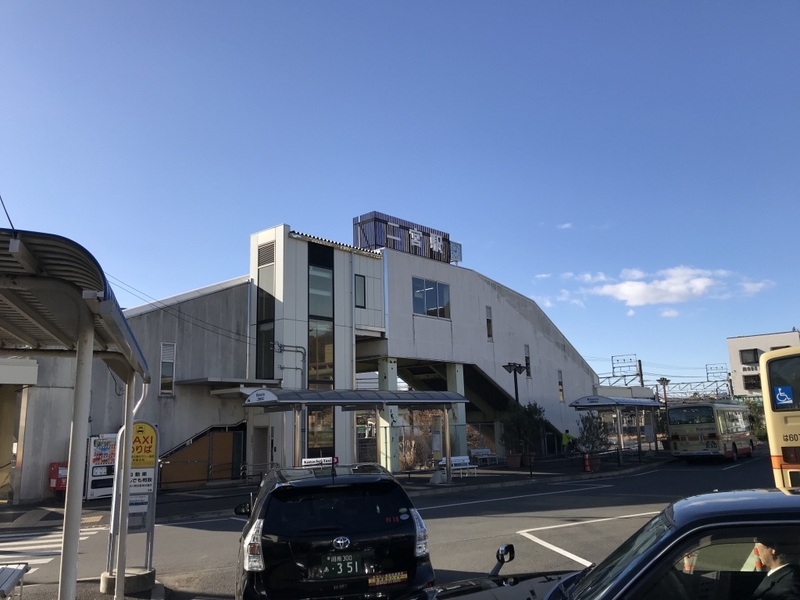 The nearest station of Azumayama Park is Ninomiya station of JR line. 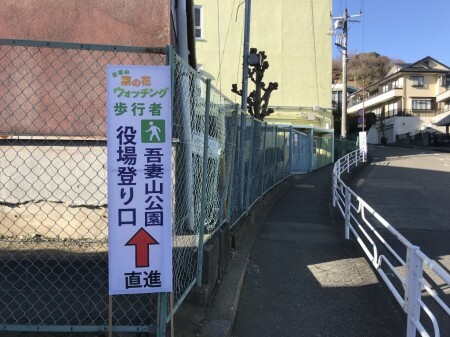 Walk through the street between Ninomiya primary school and Ninomiya town hall. 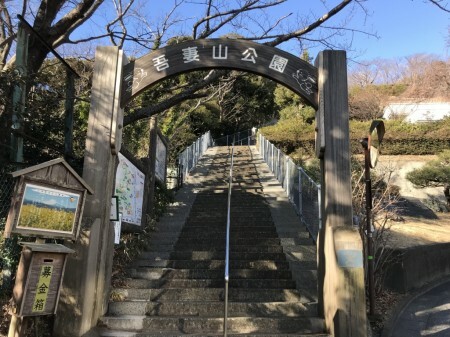 The street leads you to an entrance of Azumayama Park in 3 – 4 minutes. This long stairway leads you to the park on top of this mountain. 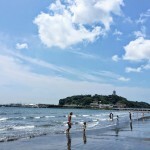 Both of them leads you to the same destination, but turn to the left is better way. 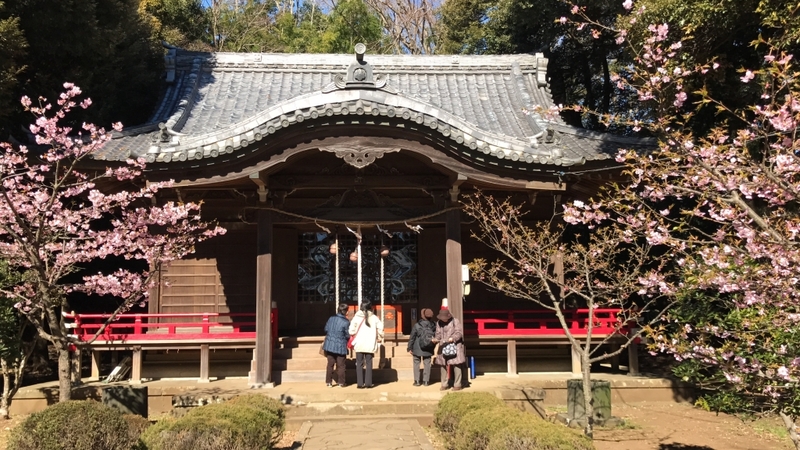 Sengen Shrine that enshrine Konohananosakuya-hime in Japanese mythology. 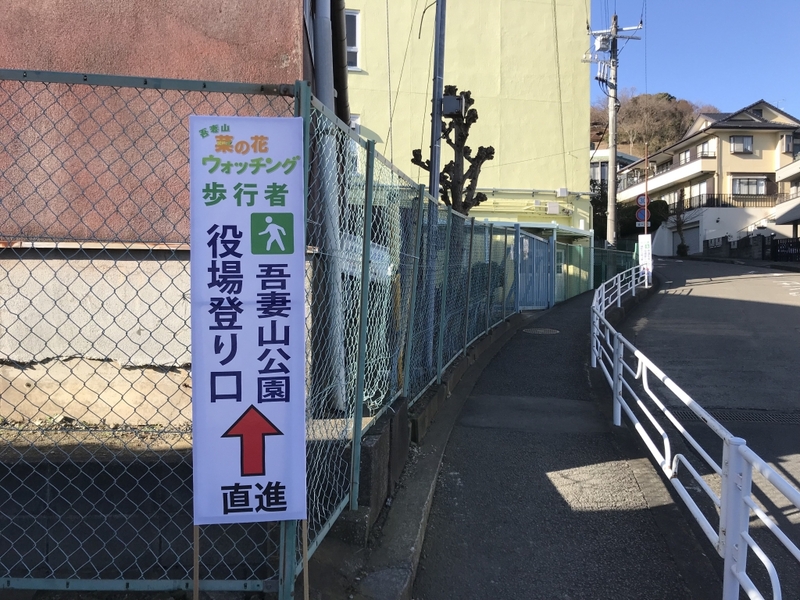 There is a crossroad again. 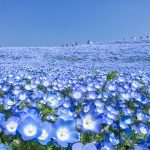 Most people go to right because it gets a little shorter. 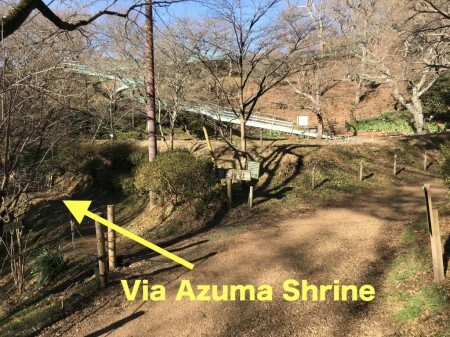 But if you go to left, you can see Azuma shrine that cherry blossoms are beautifully bloomed. The path from the crossroad leads you to Azuma shrine. 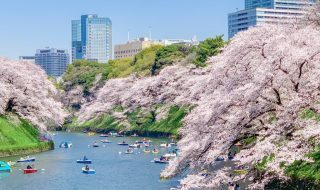 Cherry blossoms are fully bloomed in the beginning of February every year. A short stairway from Azuma shrine leads you to Azumayama Park. 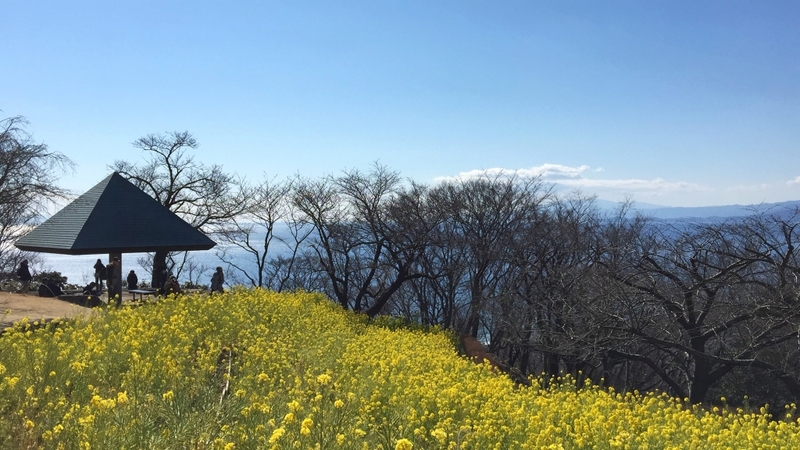 Yellow colors of the field mustard and blue color of Sagami Bay is so beautiful! 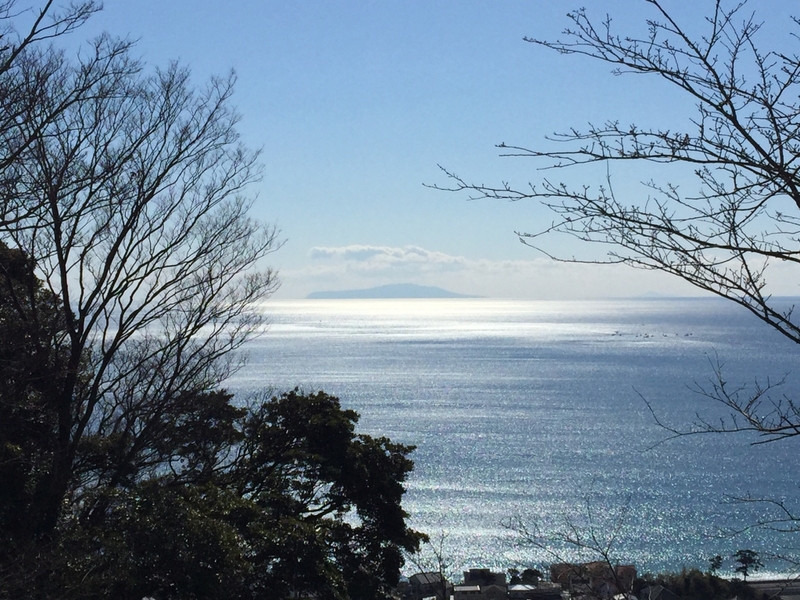 You can see Izu Oshima island in the distance in a clear day. 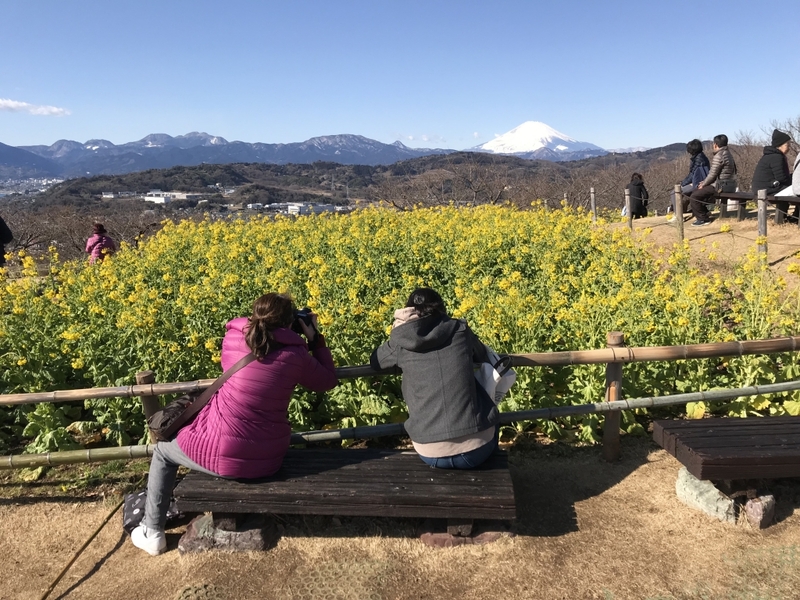 This wood bench seat in front of canola flower field is the best photo spot. 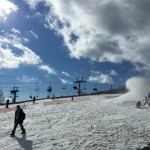 I took this picture without zoom. So I took a picture again by 3.5 time zoom with attaching 2x telephoto lens of iPhone Xs Max Revolver M Series Lens Kit. I took this picture by iPhone7 Plus without zoom. 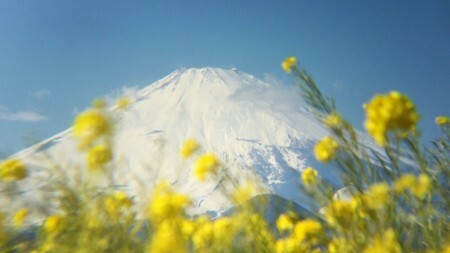 Flowers might be damaged by the heavy snow a few days ago. 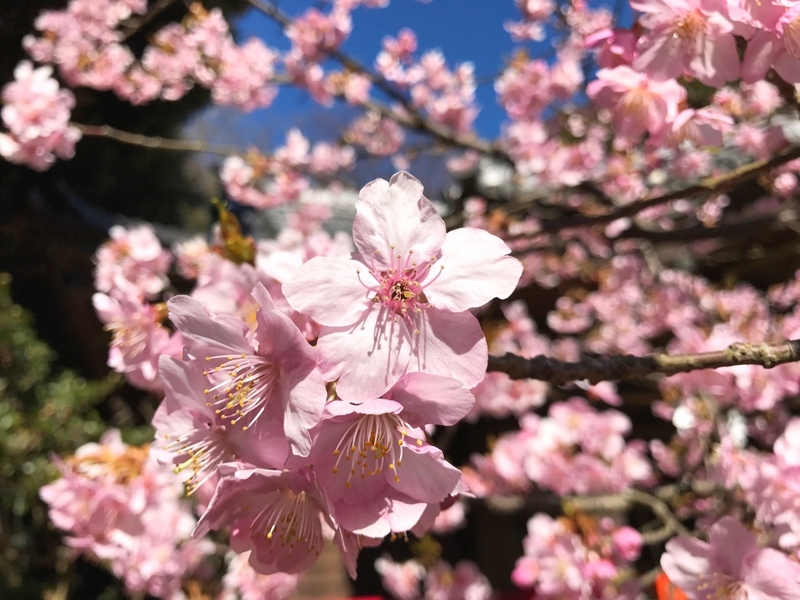 I took this picture with 6 times zoom by iPhone with attaching 2x telephoto lens of Switch 6 for iPhone 8 Plus / iPhone 7 Plus. 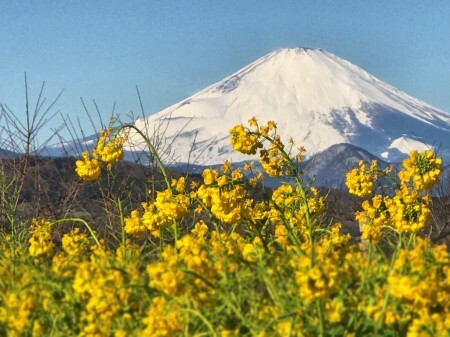 If you don’t wear any lens to your smartphone, you will need 8 times zoom. To take better photo, hold your camera with sitting on the bench to get canola flowers as much as possible. 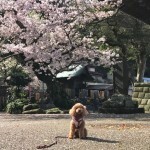 If you don’t tripod, you had better put your arm on wood fence as it tend to become blurry photo due to camera shake by zooming. By the way this place is crowded with people after 10 A.M. 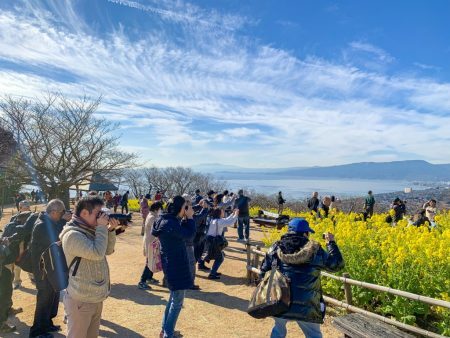 So 8 A.M to 9 A.M is the best timing to take picture without haste. I visited there again at 6 Feb. 2018. 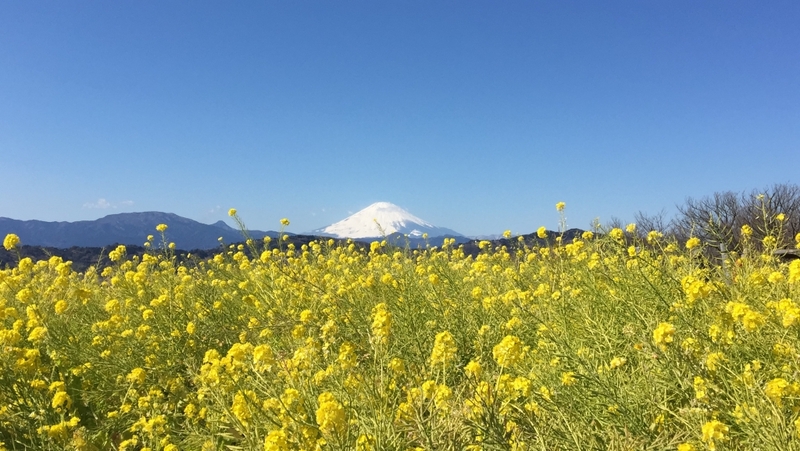 It seemed to be recover from the damage by the heavy snow. But last year was more beautiful. Anyway I could enjoy seeing the yellow carpet with Mt.Fuji this year again. 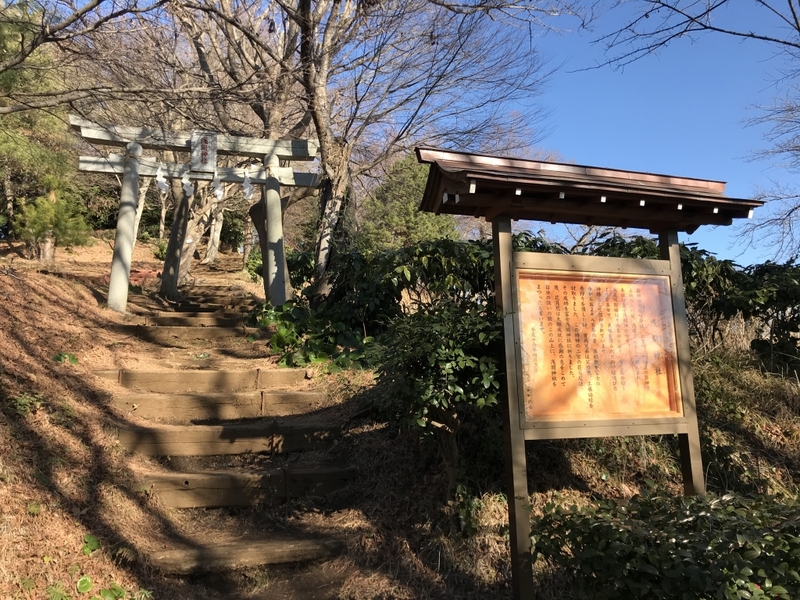 There is no parking lot in the park. So if you come here by the car,use the pay parking lot. 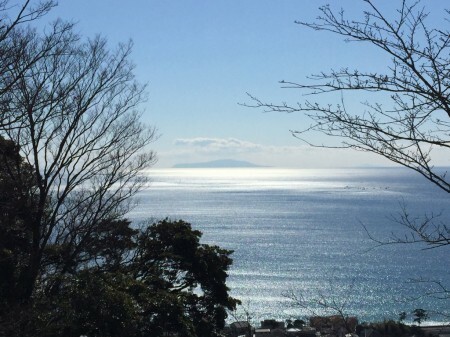 But it is a little far away. 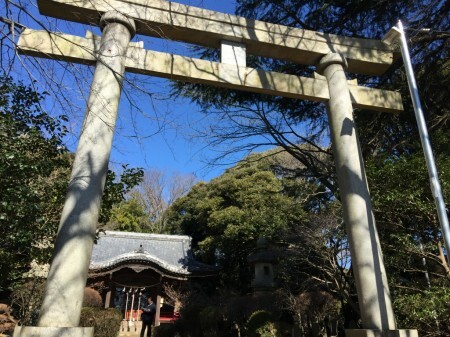 10 minutes walk to the entrance of Azumayama Park. 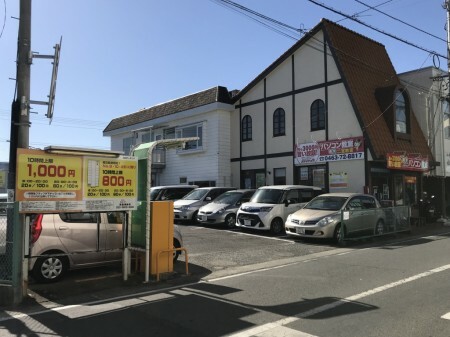 So I always use Kitaguchi Parking lot(100 yen every 20 minutes) next to Ninomiya station.